Ships Monday, April 22 if ordered in the next 2 days, 10 hours and 49 minutes! 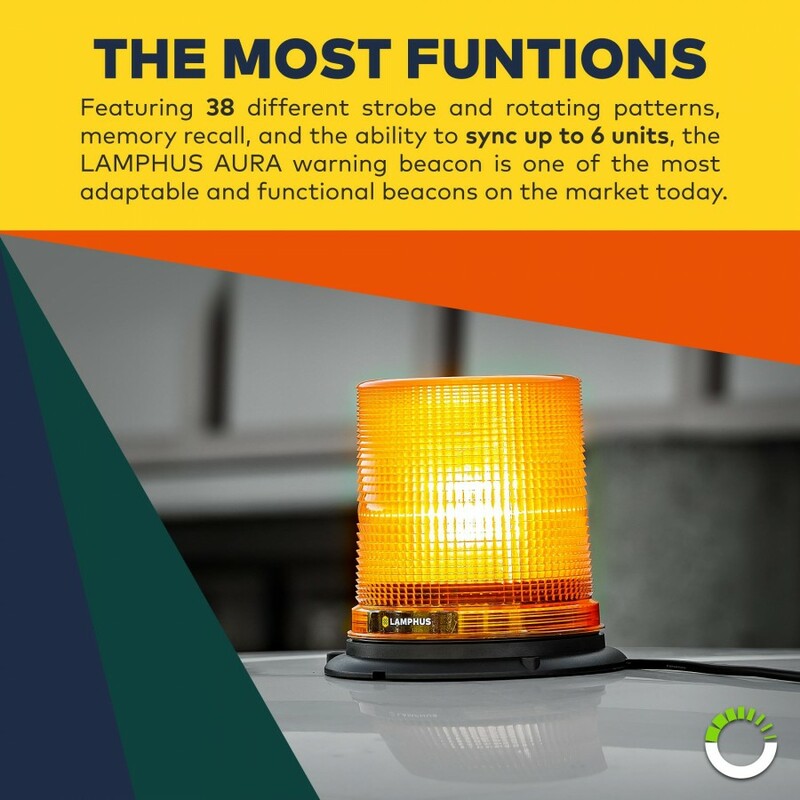 The LAMPHUS AURA warning beacon delivers the same performance, durability, and functionality that you have come to expect from LAMPHUS’ line of products. 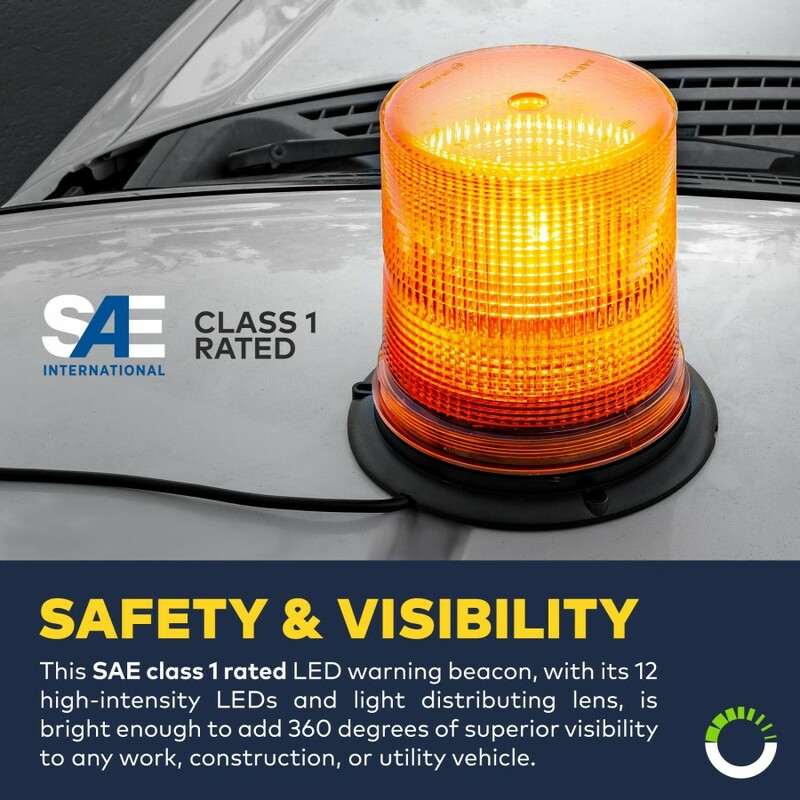 With a specially designed lens and 12 high-intensity Epistar LEDs, this bacon is rated at the brightest of the SAE classes. 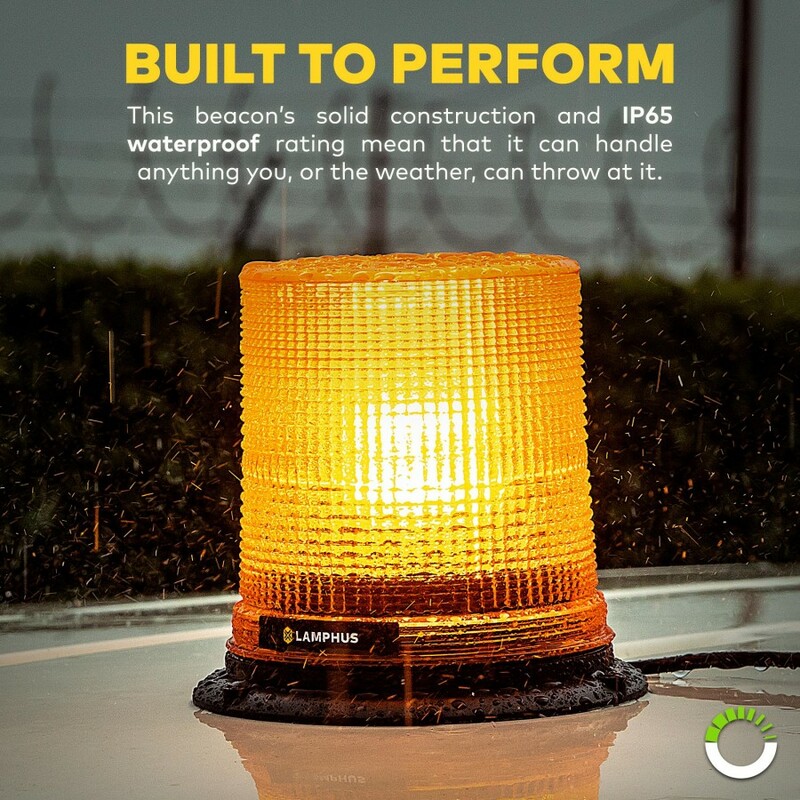 Combine that with an IP65 waterproof rating, an optional 5" or 7" dome, and 6 different color options, and you've got a warning light that is ideal for any situation. 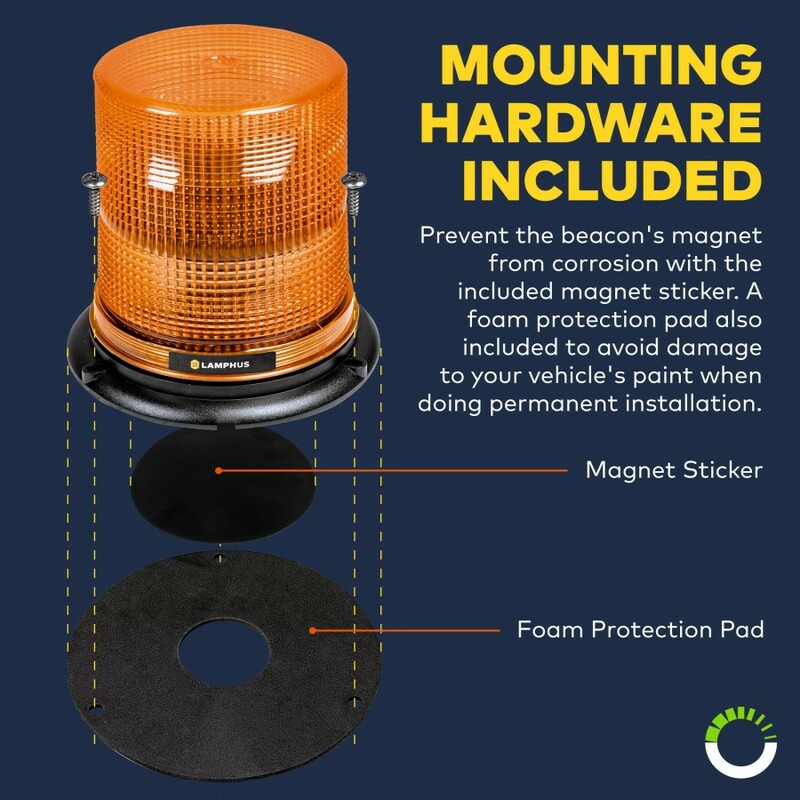 Right out of the box you’ll notice the durable construction, magnetic base, and cigarette lighter adapter with 9 feet of straight cable. 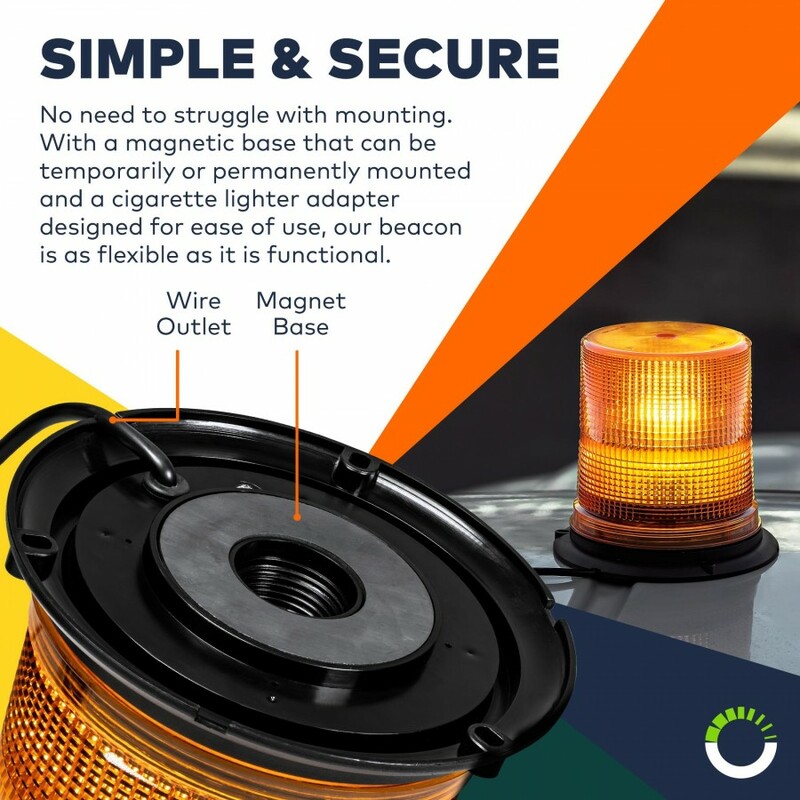 The adapter is fuse protected and comes with an on/off and momentary switch to quickly select one of 38 different flash patterns while the easy to use magnetic base with 30 Lb of pull multitasks with an integrated permanent mount option. 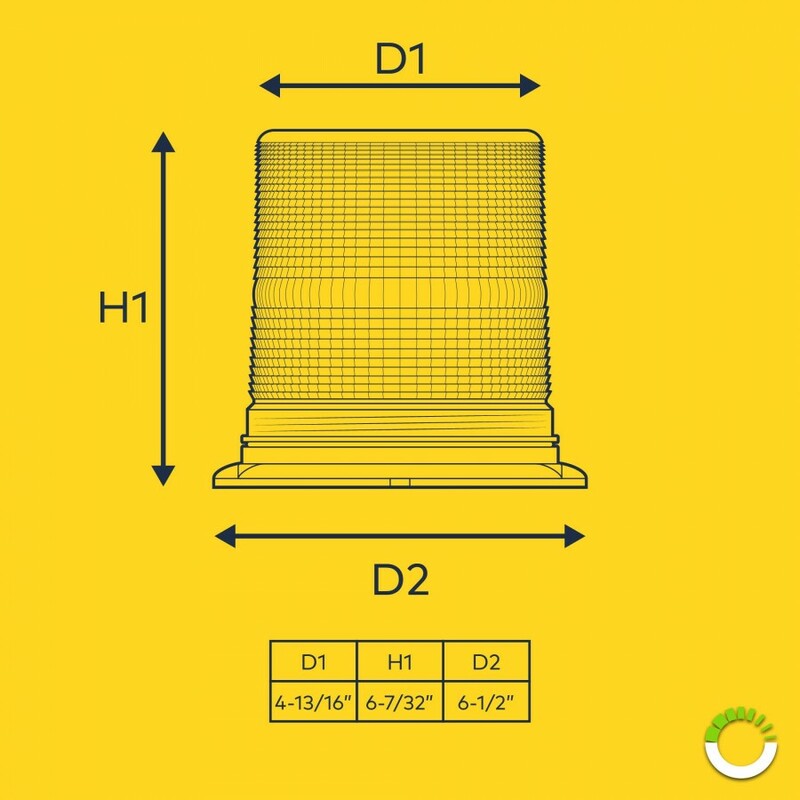 What you may not notice right away are the unique usability features built directly into the unit itself. 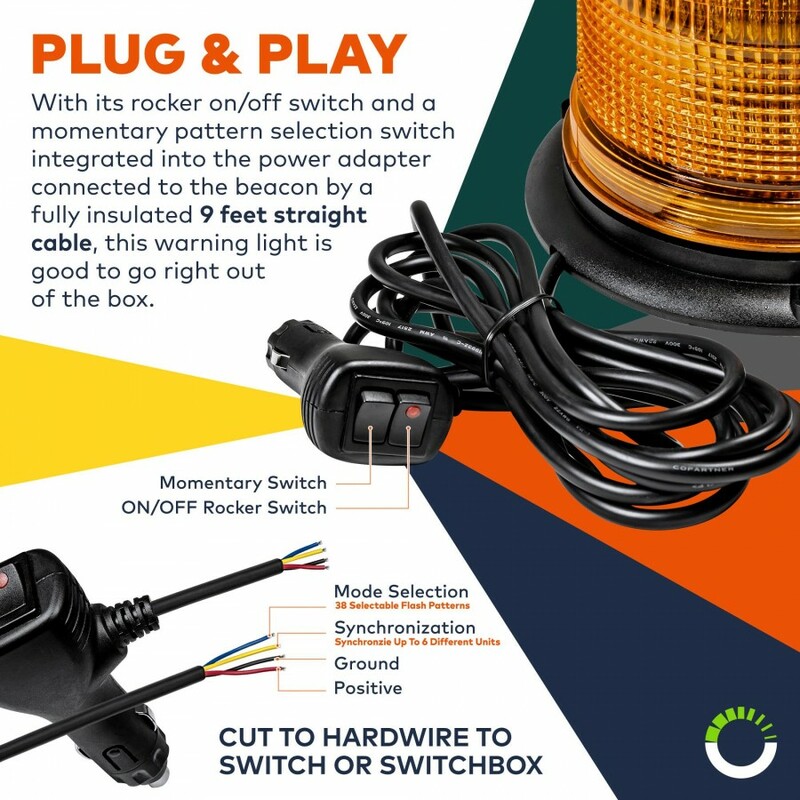 The heavy-duty cable includes a yellow wire that can be used to sync up to six beacons at one time and the pattern recall feature makes it easy for you to pick your desired flash pattern and stick with it. 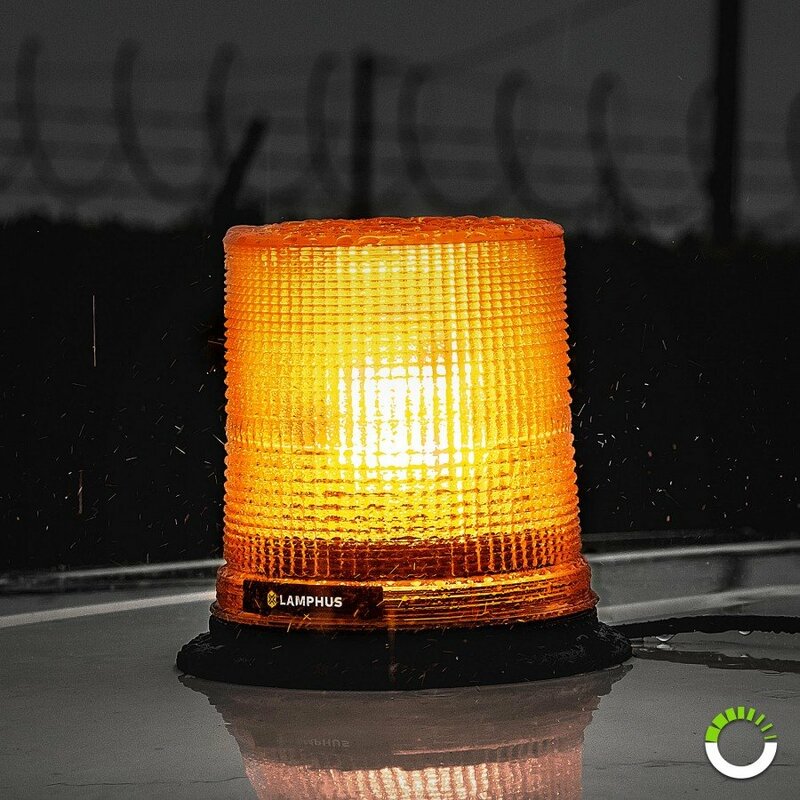 The onboard circuitry eliminates the need for an external flasher, and the long-lasting LEDs make changing strobe tubes a thing of the past. AURA 7" 12W Beacon Light"
Very bright during day and night! Wide variety of flash patterns. The light is very bright during the day/night also it has many patterns to choose from which is great if you want to change it up a bit and be seen. THANKS AGAIN!! Online Led Store. The light is bright during the day/night. It has many patterns to choose from which is cool. Also the unit is light weight. I have ordered from this site a few times already and I'm always happy with my products. 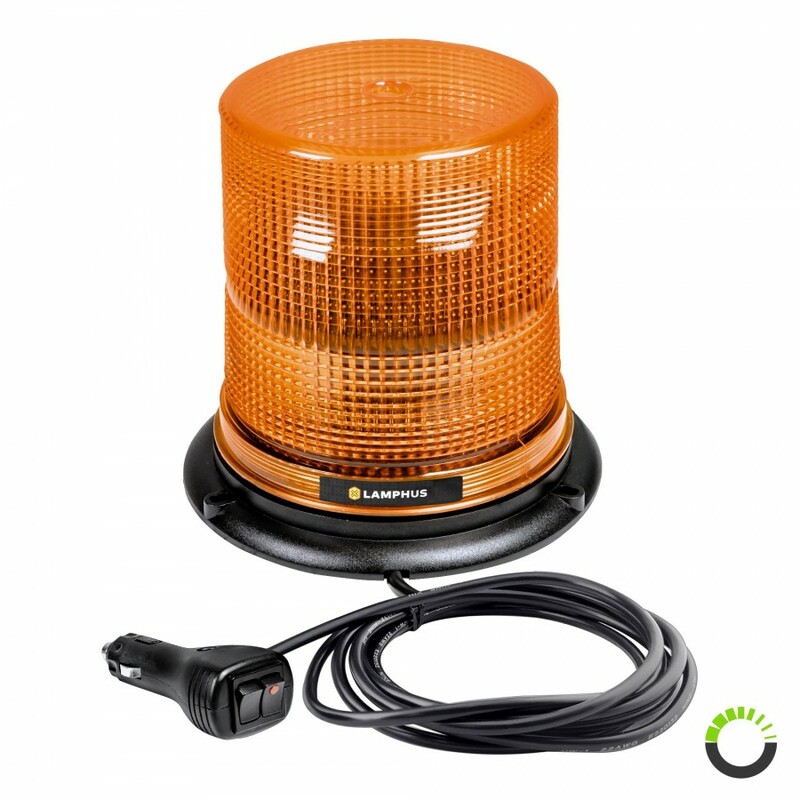 I have ordered the ( Lamphus solarblast SBWL26 12W dash light which is a great light by the way , I have 2 of them. My review should be on that also if you look. 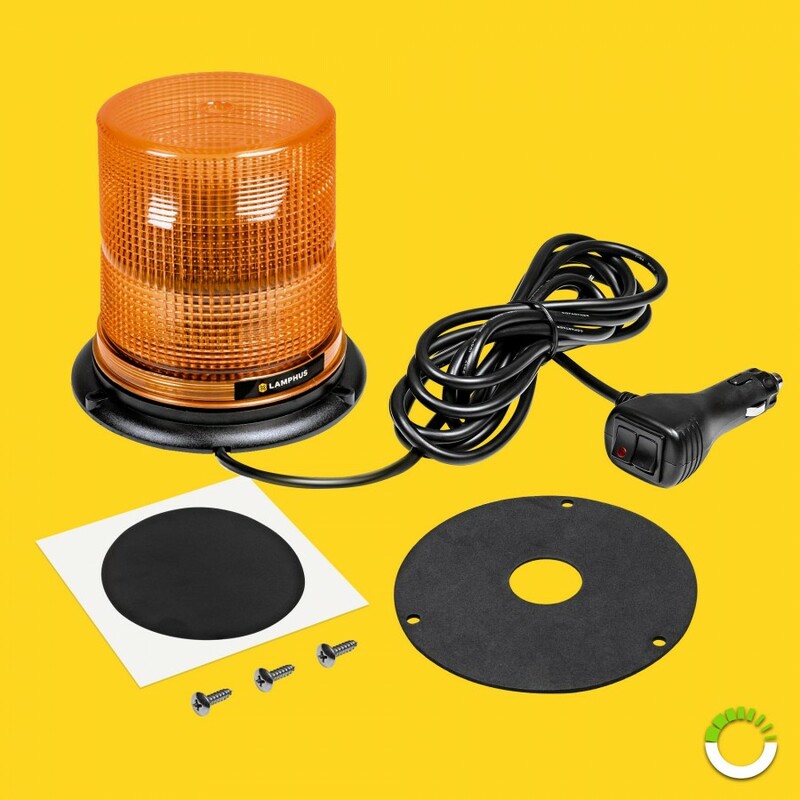 Also I have ordered the ( Nano Flare NFLH04 Grille light, 2 of them, Amber/Amber Clear/Clear my review should be on that also if you look. Hope I helped someone on what lights to buy. THANKS AGAIN Online L.E.D Store. I look forward to buying more lights soon. Excellent light very bright, excellent flash pattens to chose from.